Topics: Services, and Domestic Partnerships Broward County. It is hosted by Ntt America Inc (Colorado, Centennial,) using Microsoft-IIS/7 web server. ns1.mdnsservice.com, ns2.mdnsservice.com, and ns3.mdnsservice.com are its DNS Nameservers. 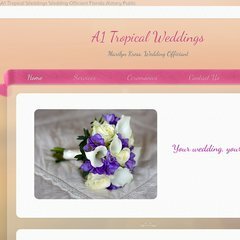 A1tropicalweddings.com's server IP number is 209.157.71.123. PING websites079.homestead.com (209.157.71.123) 56(84) bytes of data. Pinging the server, resulted in a 54.8 ms response.